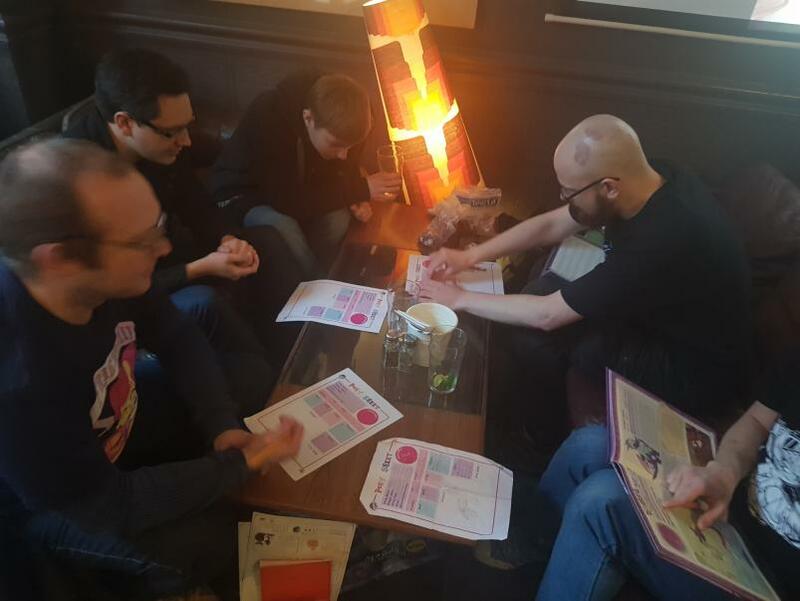 Voting for April and May's Meetups dates. 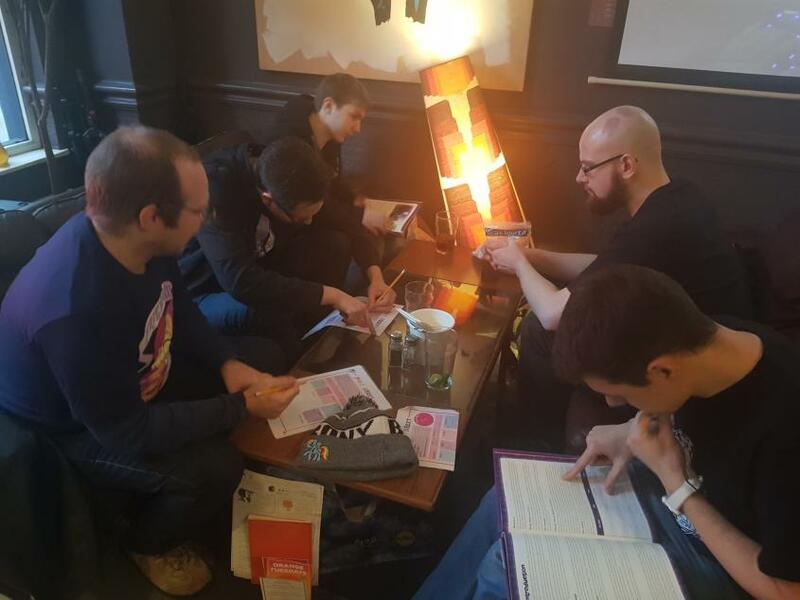 Changes to this weekends meetup (2nd Of Feb)! 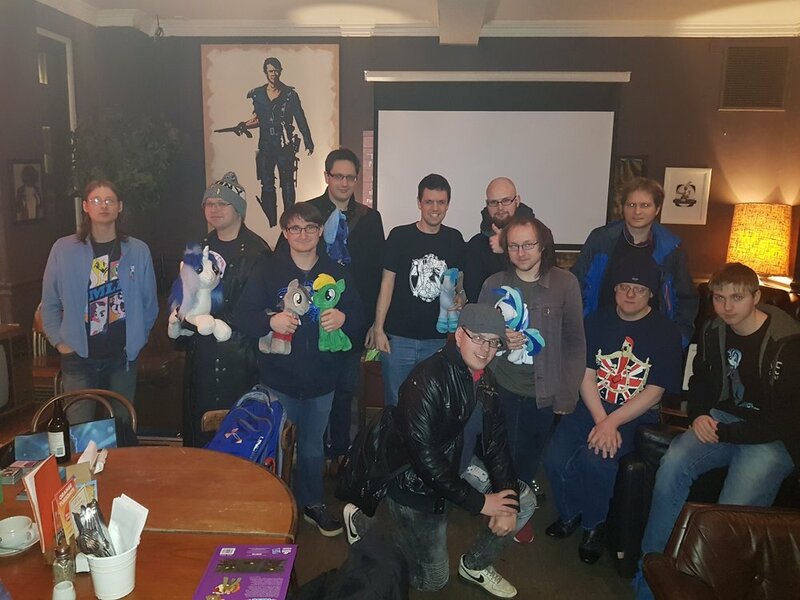 This time around we had booked out the disco room at the The Orange Tree, so we could show a slideshow of pictures from last year along with some Brony community-made background music. 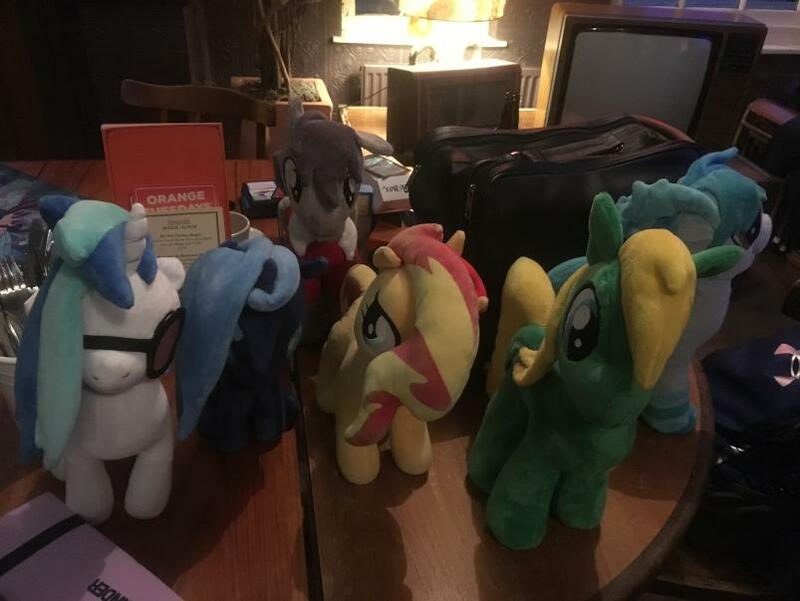 This was also useful to test the sound system and projector, to see if it was any good for the 5 year anniversary special. 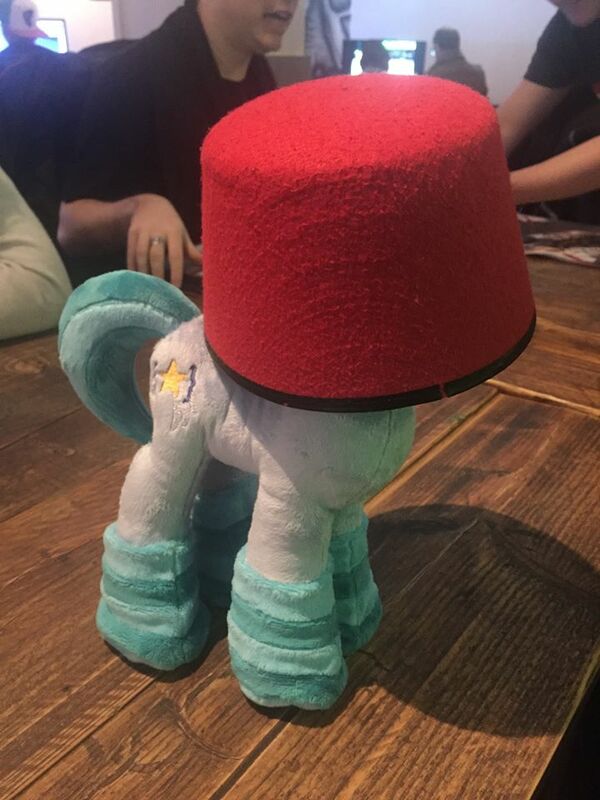 We can confirm that it is suitable for our needs. 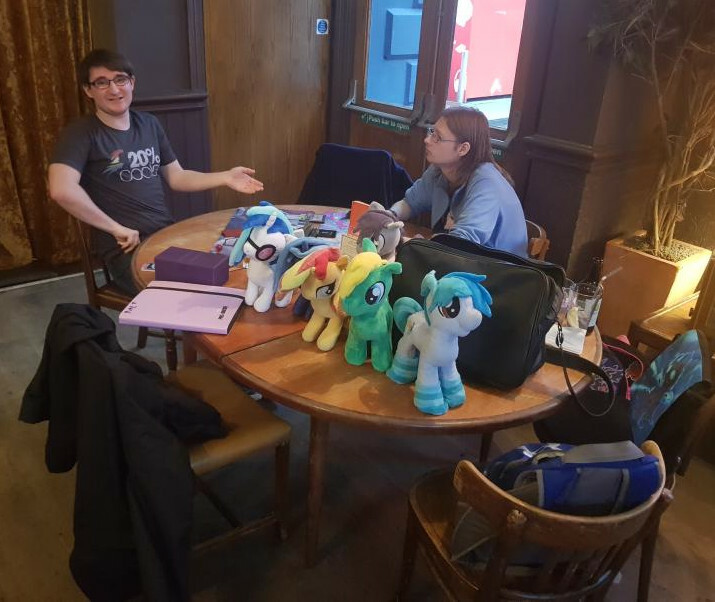 While the meetup was slightly complicated due to the fire at Nottingham Train Station, it didn't stop people coming to the meetup. 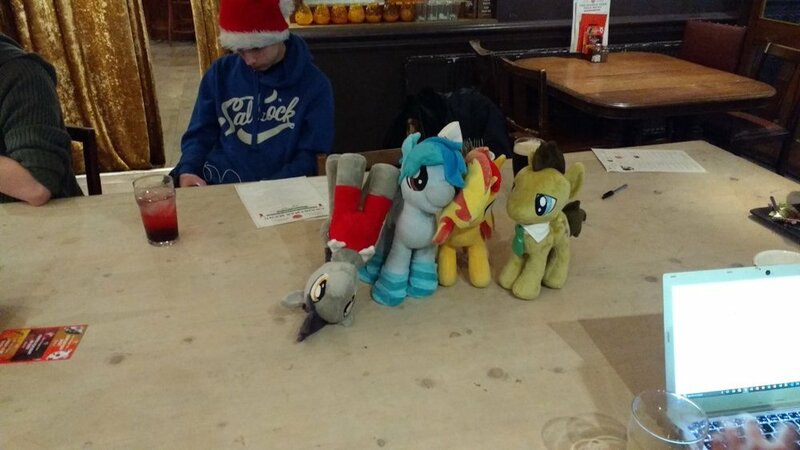 The meet-up peaked at a total of 12 attendees, and most of these stayed to the end. 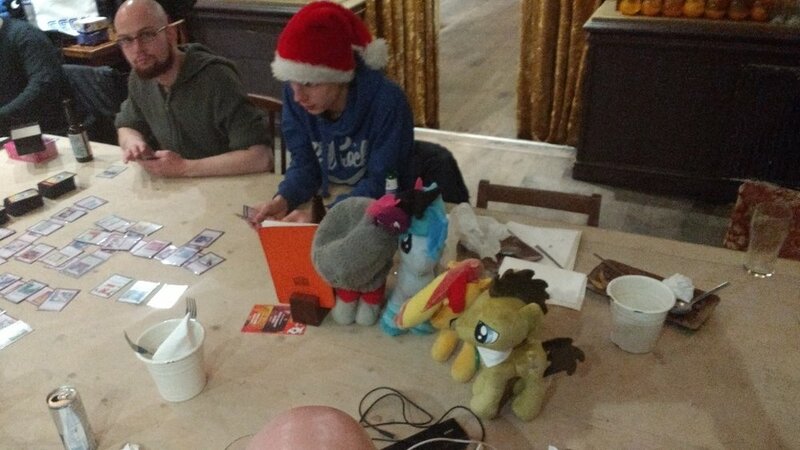 There were plenty of things going on during this meet; from an MLP CCG game, to people just chatting. 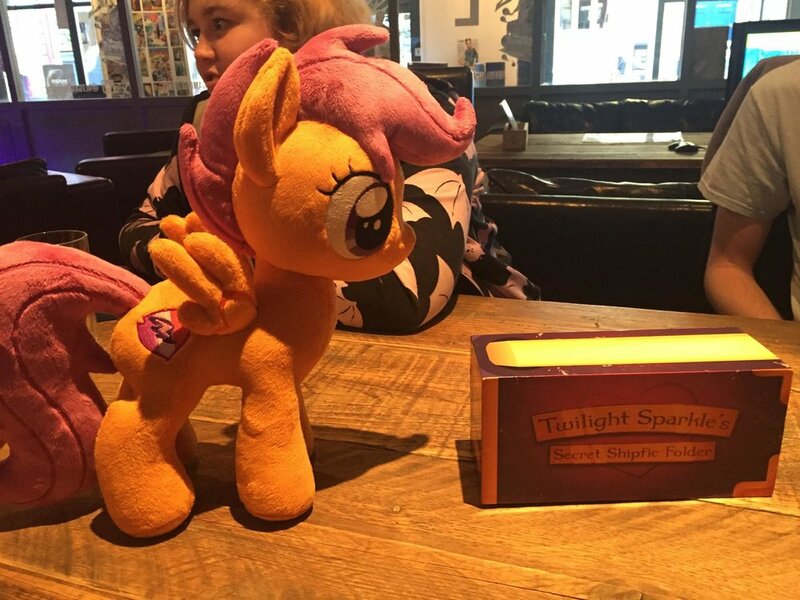 There was also a Tails Of Equestria one shot campaign, featuring characters from one of the previous campaigns. 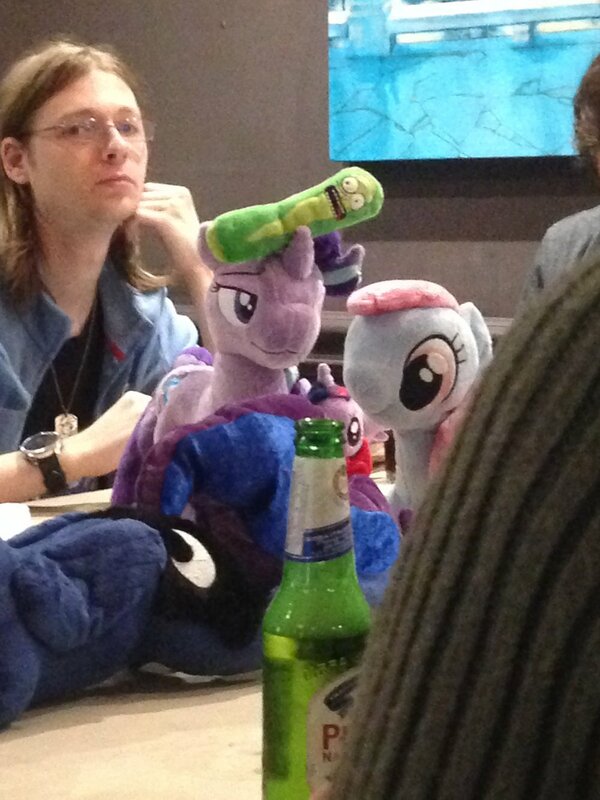 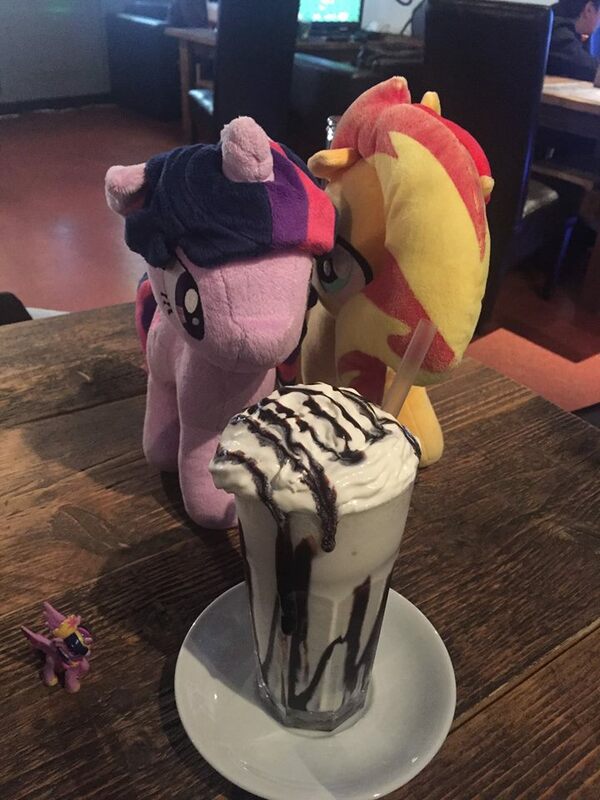 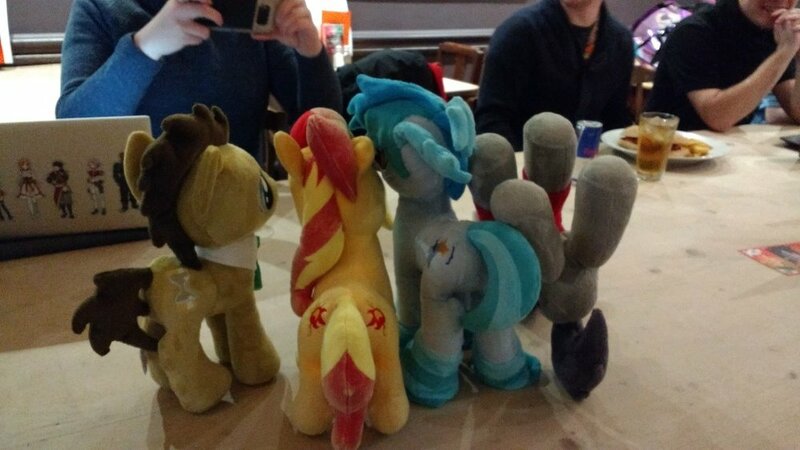 There was talk about the Trottingham Custom Twilight Sparkle's Secret Ship Fic deck. 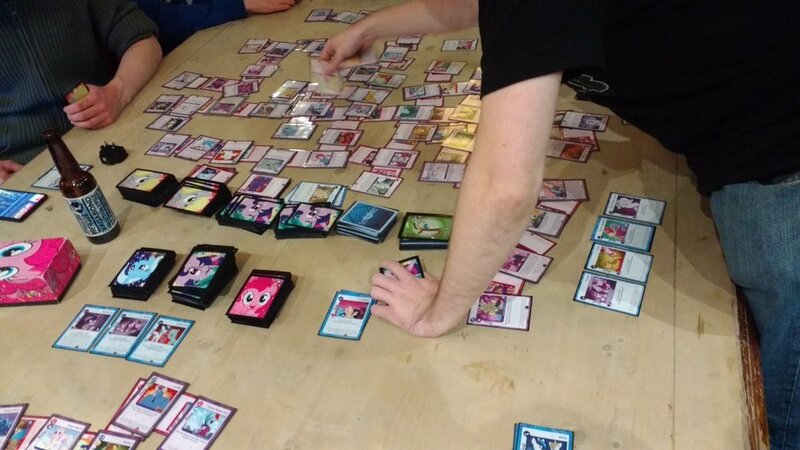 If you have any ideas for cards you can use this TSSSF Card Generator in order to test them out. 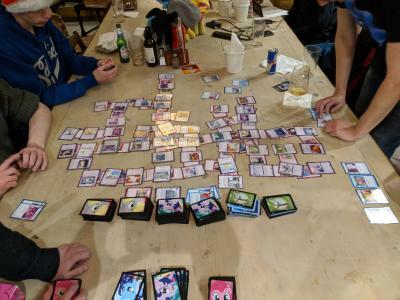 Alternatively, just mention your card ideas here. 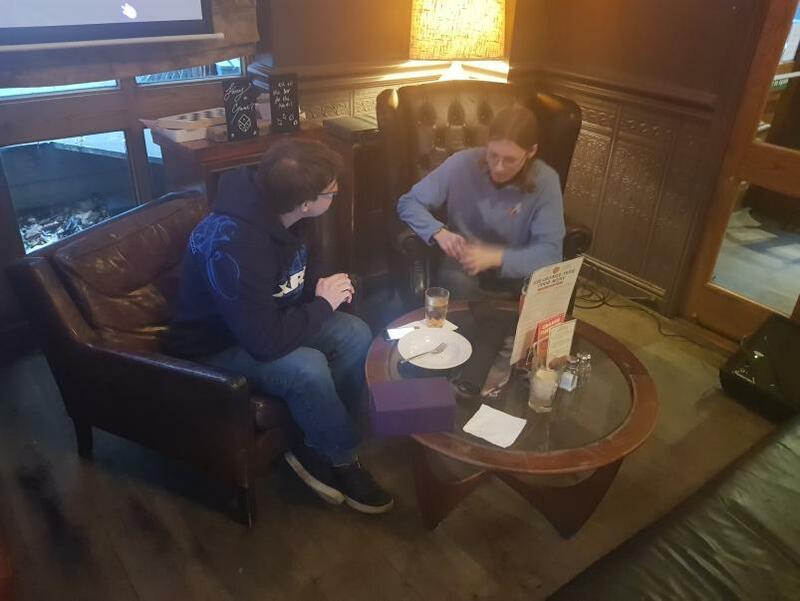 Overall, it was a very enjoyable meetup and we hope that the Orange Tree will be happy to host us on future occasions. 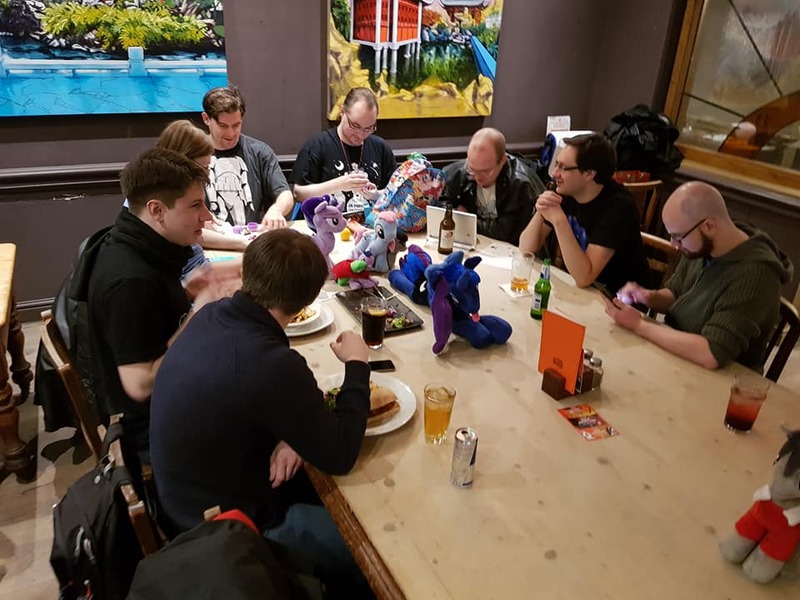 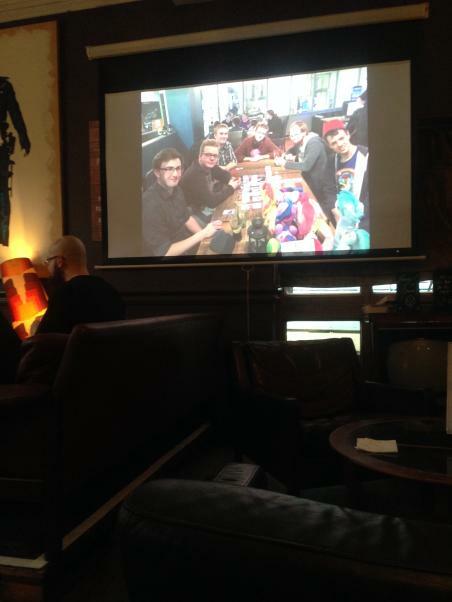 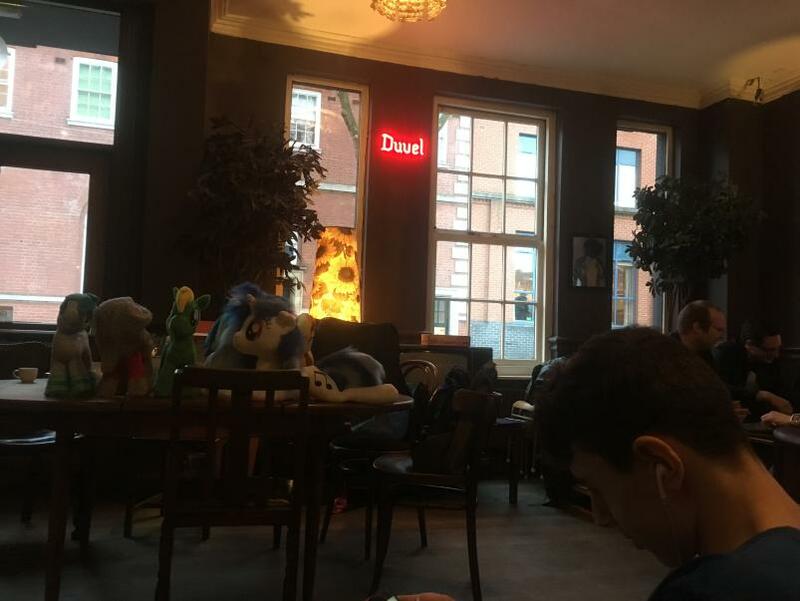 Today's meet up took place at the Orange Tree pub in central Nottingham. 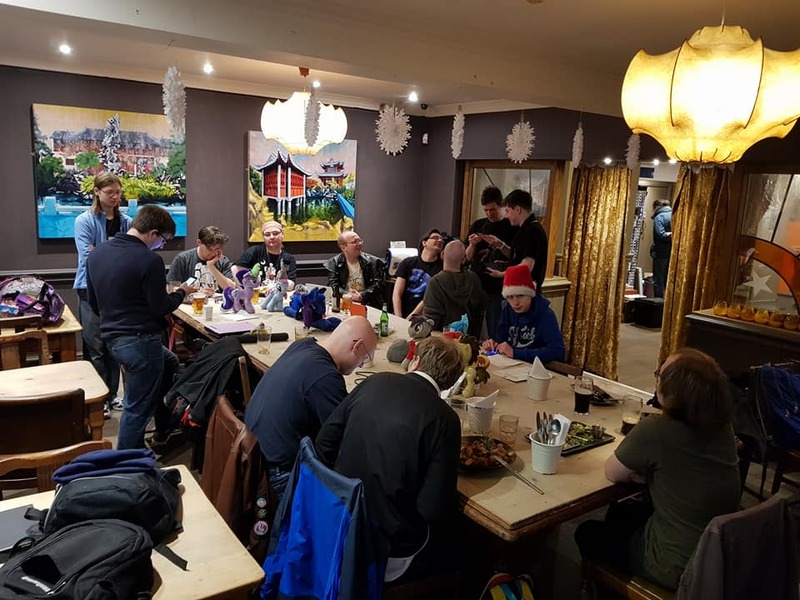 We were lucky enough to be able to reserve a private area of the bar that easily had enough room to host the 14 attendees of this month's meet, marking not only a great end to the year, but also one of the best turn outs for these meet ups in this final quarter. 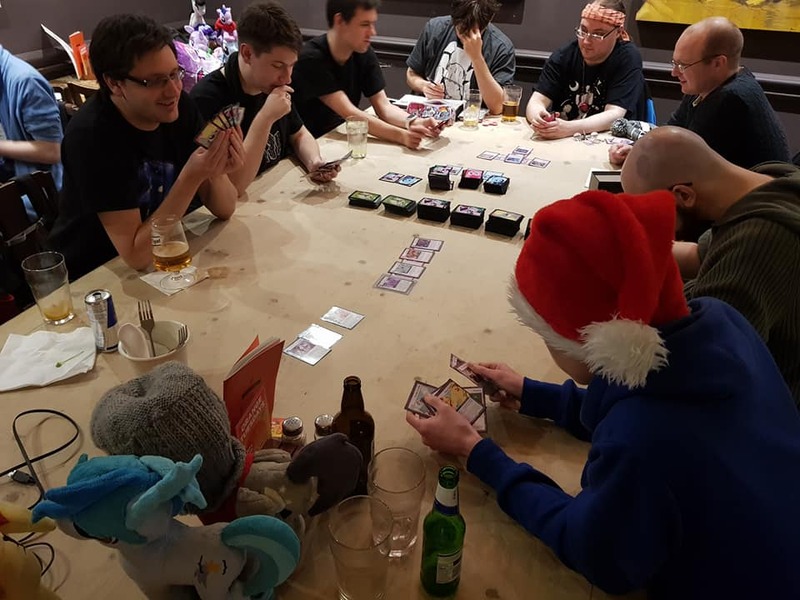 With delicious food and ample table space for card and other games, we feel that the reception of the Orange Tree as a potential venue for future meet ups was very positive, and we didn't even need to pay for the private room, meaning attendees did not need charging to cover the costs. 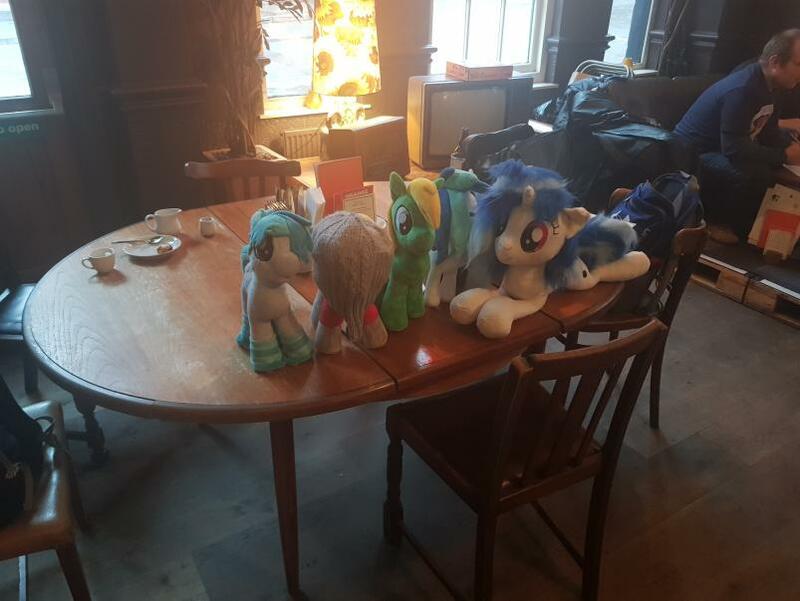 Some points were raised about the upcoming 5th anniversary of our group's creation (18 July 2012) and the potential to do something special for this date, but what that "something special" will consist of is still open to suggestion. 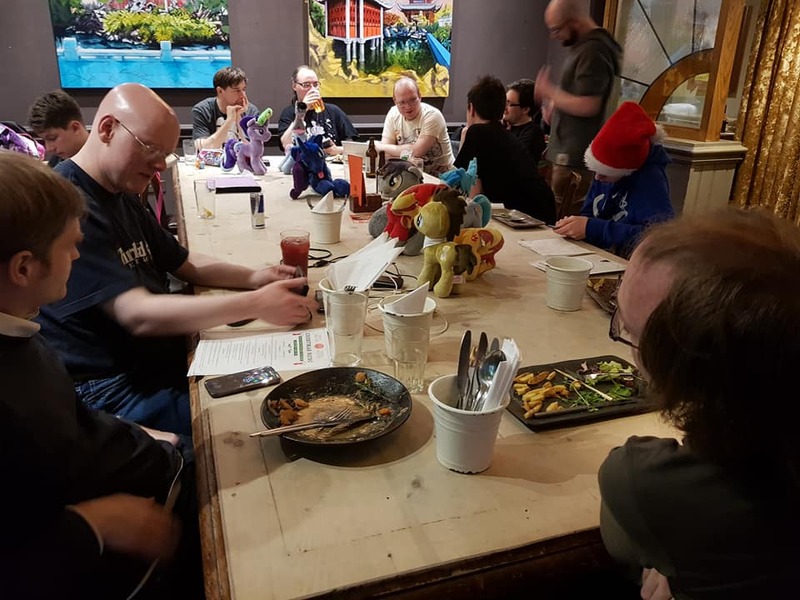 If you have any ideas, please suggest them on the Facebook page or our Discord/Telegram chat rooms, links to all of which can be found in the "Contact Us" page. 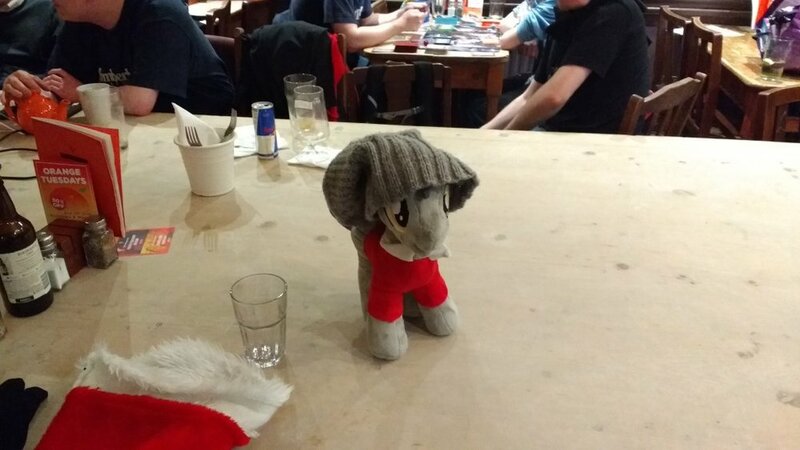 We hope you all had a great time and wish you a very merry Christmas and a Happy New Year! 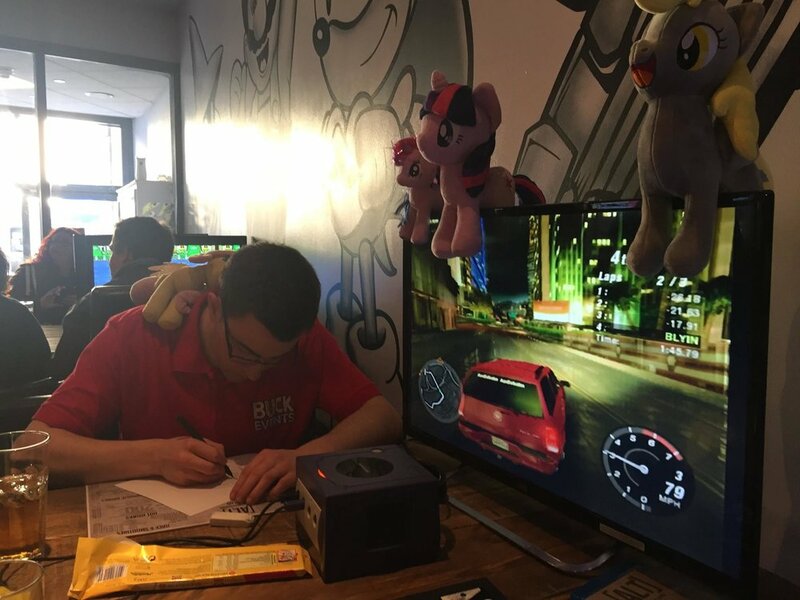 Click on a thumbnail to see the full size photo. 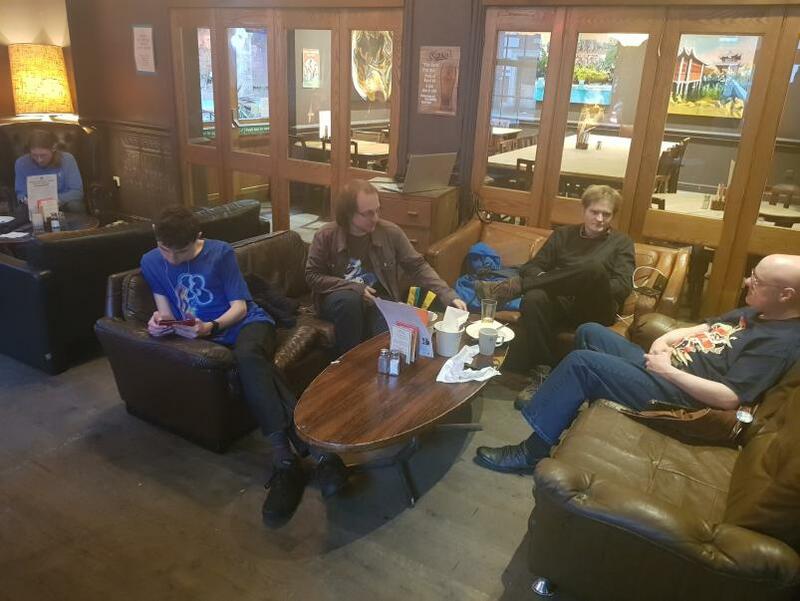 The May Meetup was a bit more spread around the ALT Gaming Lounge, with different groups doing different things. 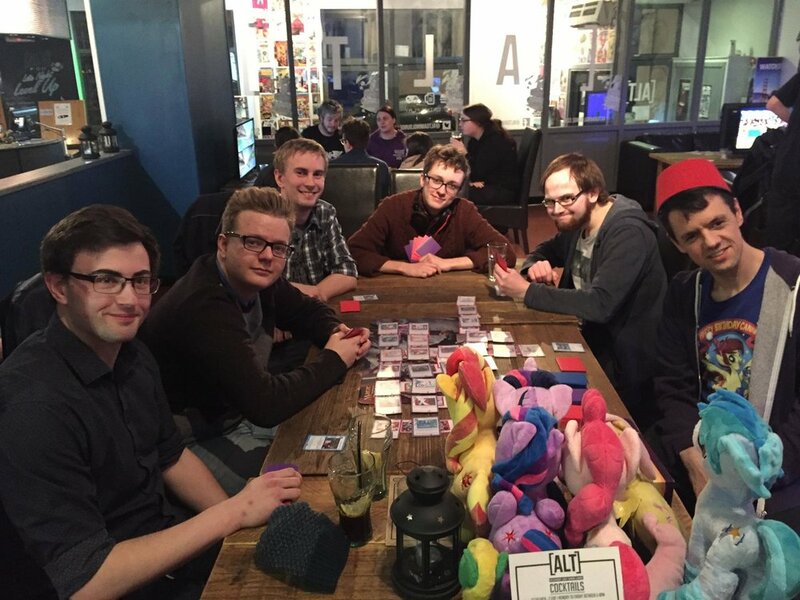 Joined by friends old and new alike, our group easily filled the tables provided to us by ALT (and most likely their coffers too!) 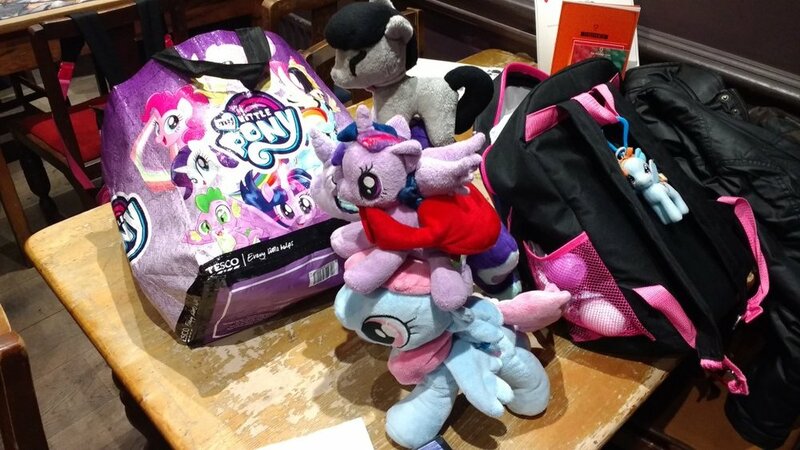 with games of Secret Shipfic, Tales of Equestria, BUCK Legacy and even a Nintendo Switch! 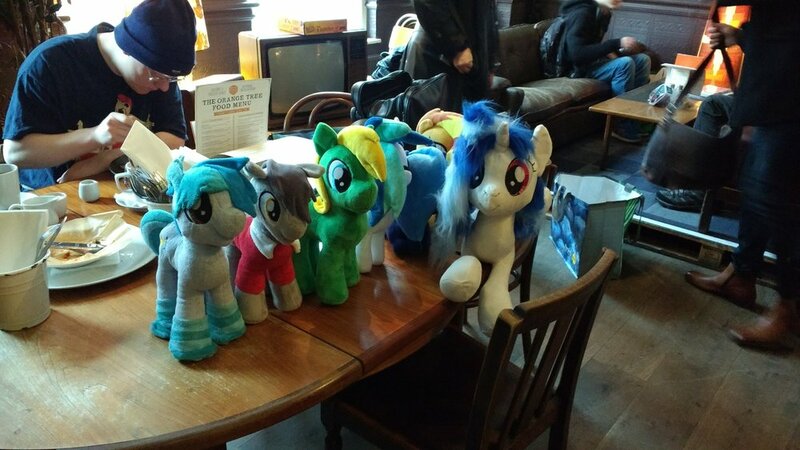 Not only that, but many of our group brought along laptops to play Pony games and watch pony episodes. 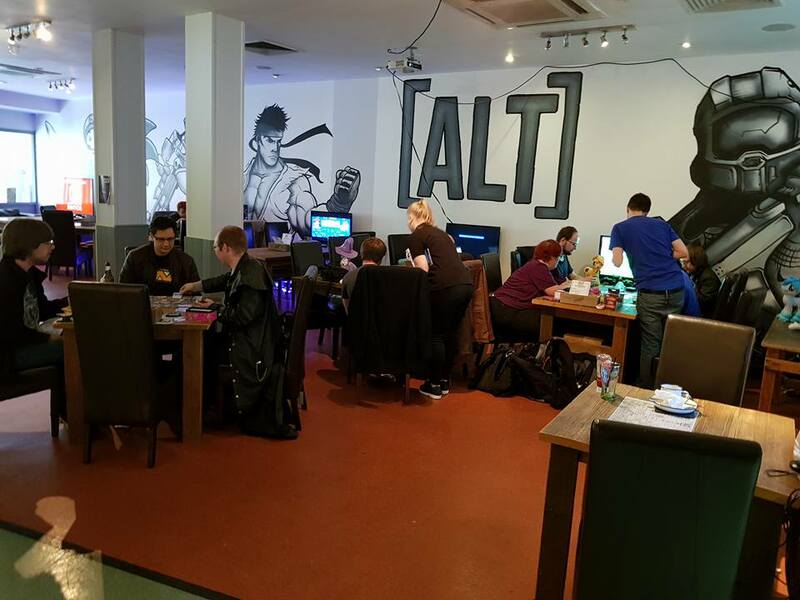 We also had a few people using some of the ALT provided games and consoles to compete with each other on. 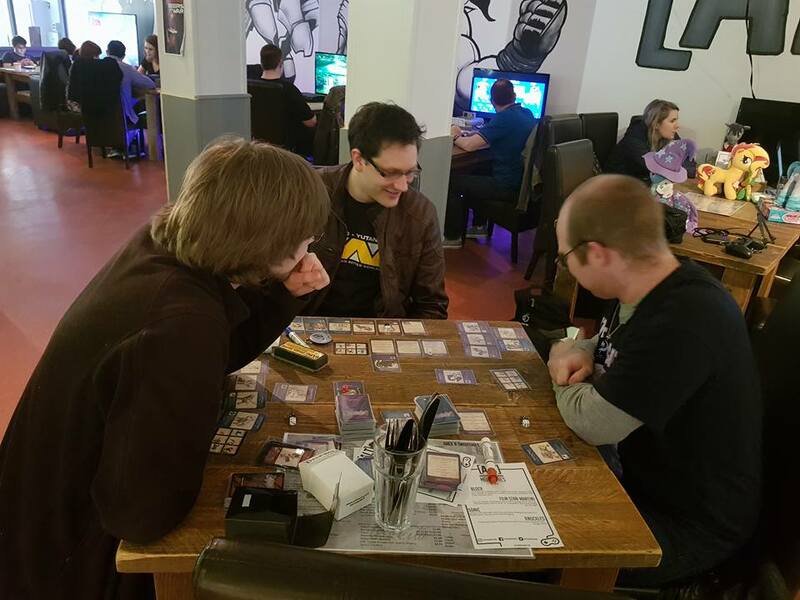 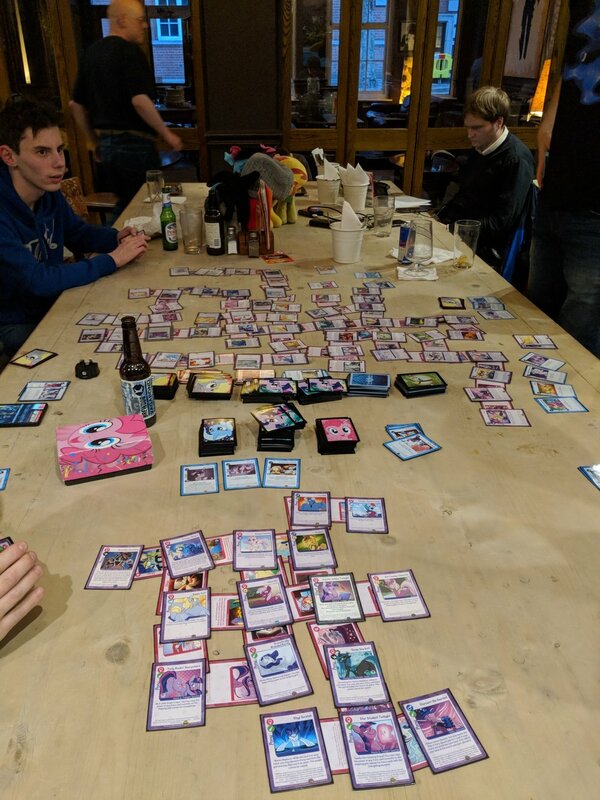 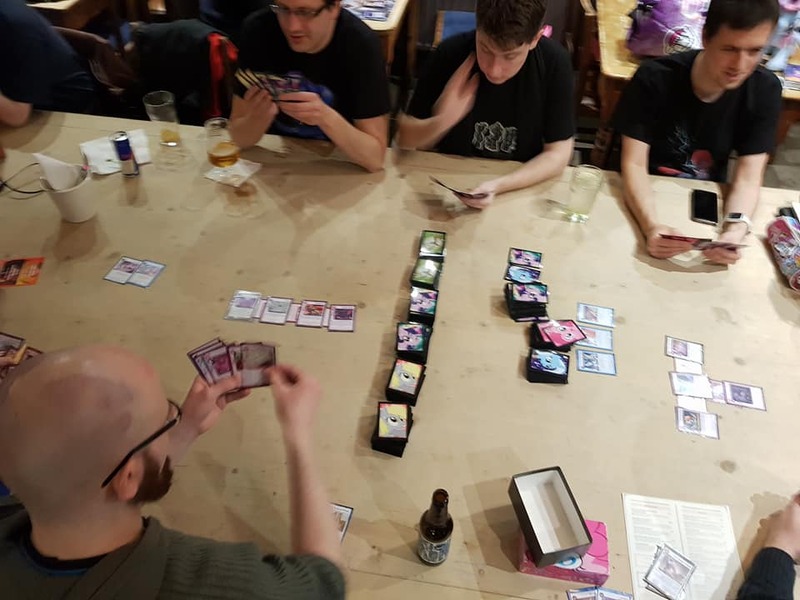 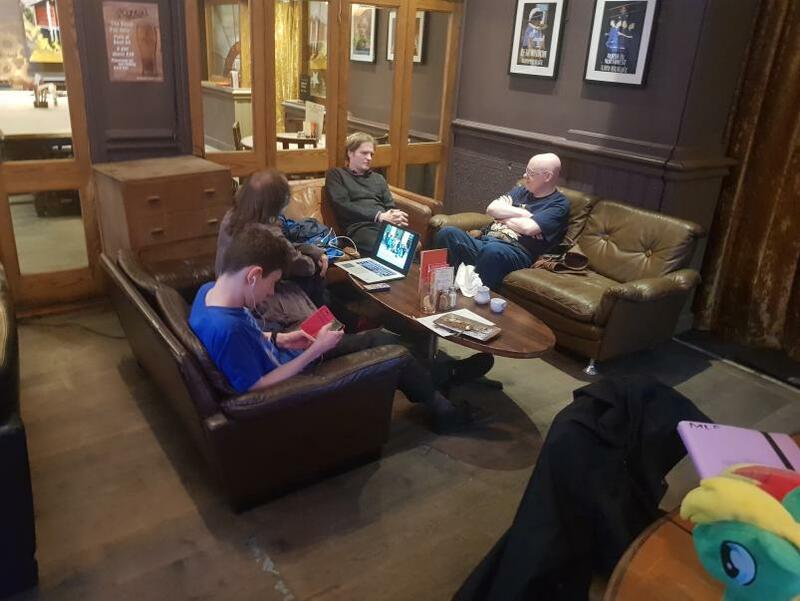 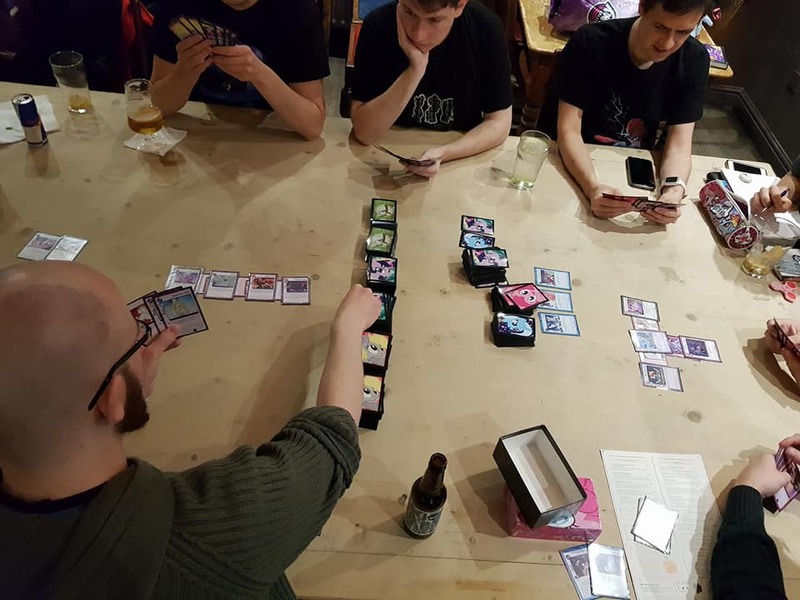 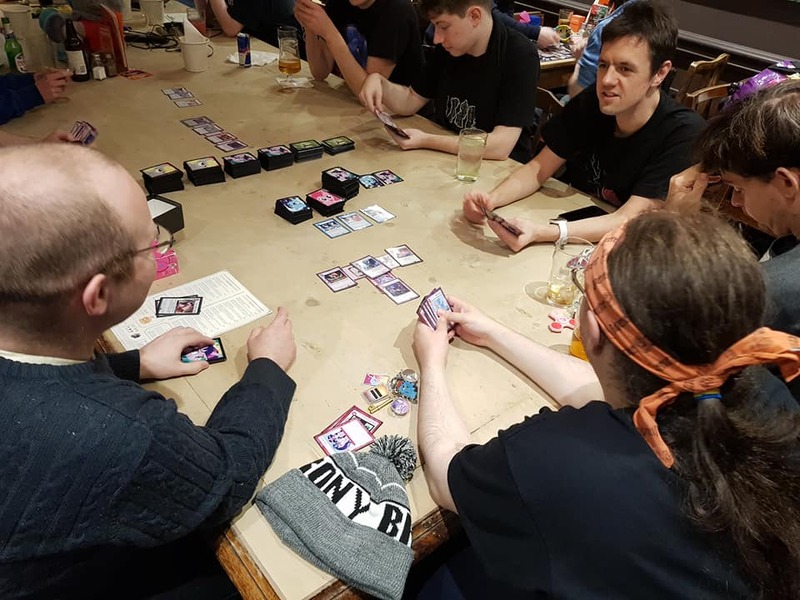 Compared to previous meet-ups at the ALT Gaming Lounge, the May 20th meet-up may not have been the most populated - with a peak turn out of 12 people - however, that is not to say it wasn't enjoyable. 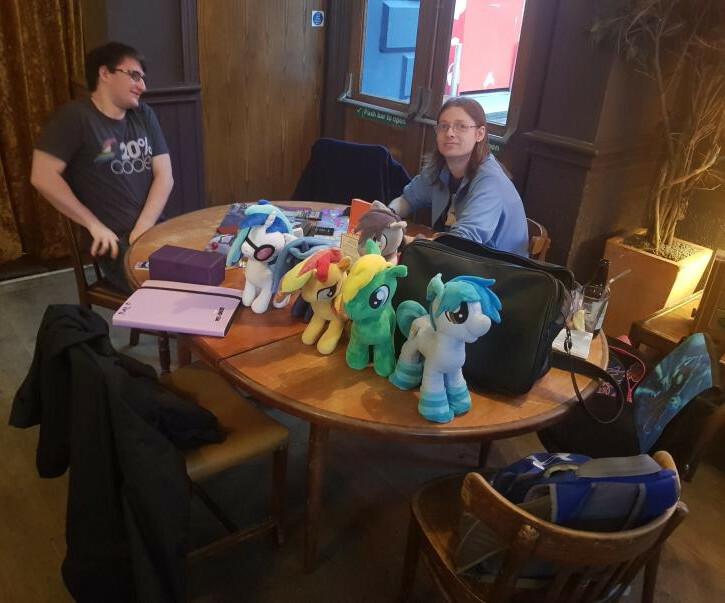 Joined by friends old and new alike, our group easily filled the tables provided to us by ALT (and most likely their coffers too!) 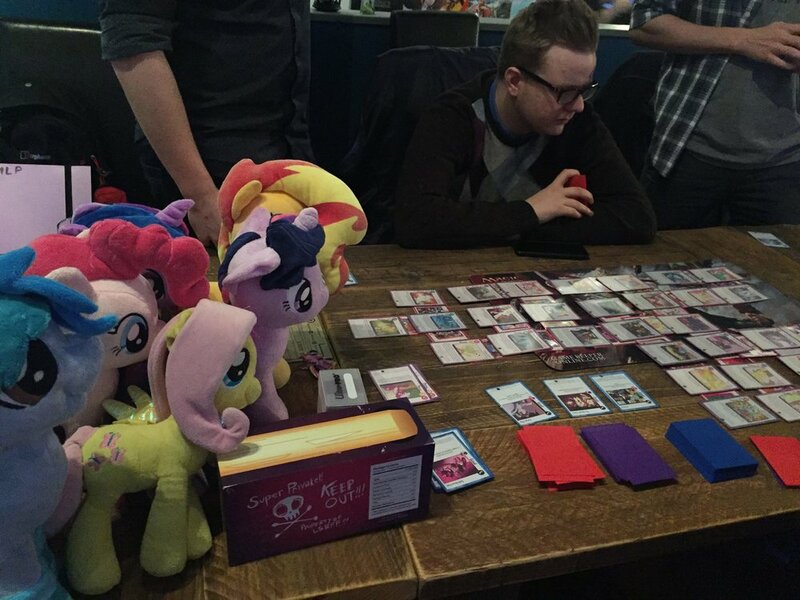 with games of Secret Shipfic, Tales of Equestria, BUCK Legacy and even a Nintendo Switch! 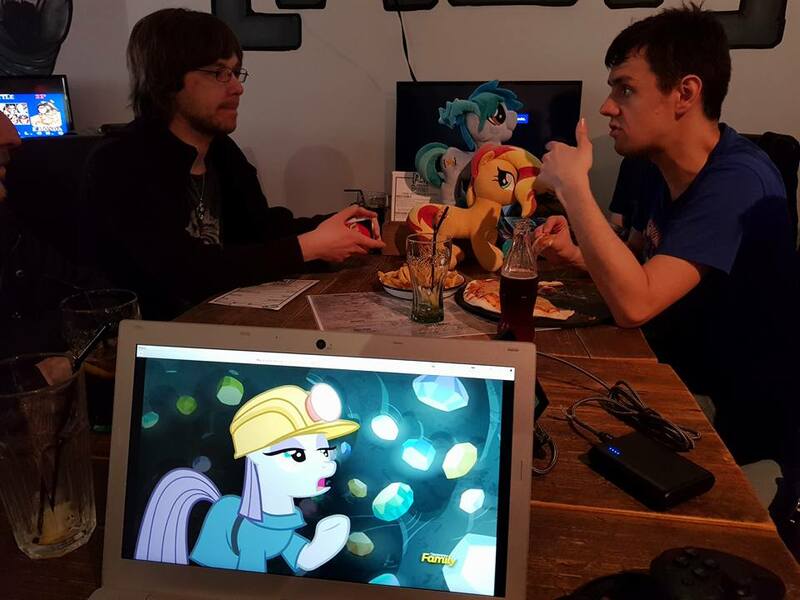 Not only that, but many of our group brought along laptops to play Pony games and watch pony episodes. 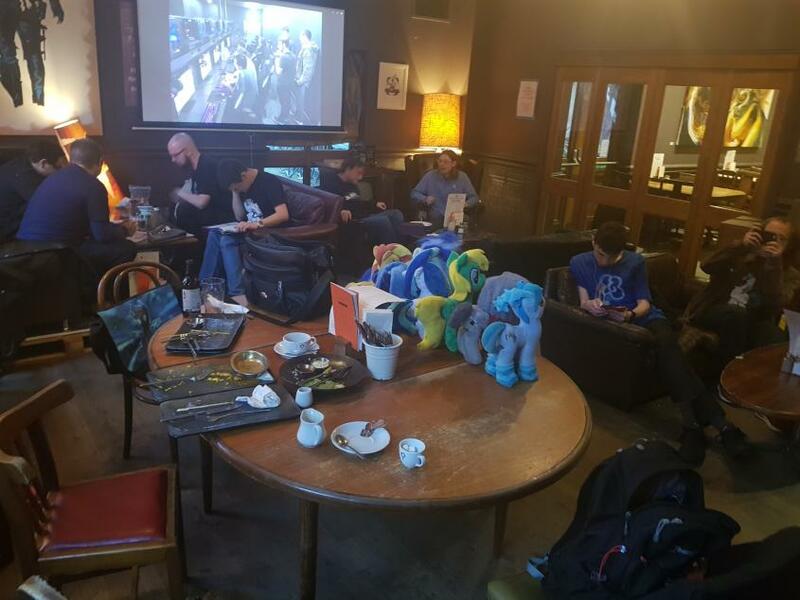 We also had a few people using some of the ALT provided games and consoles to compete with each other on. 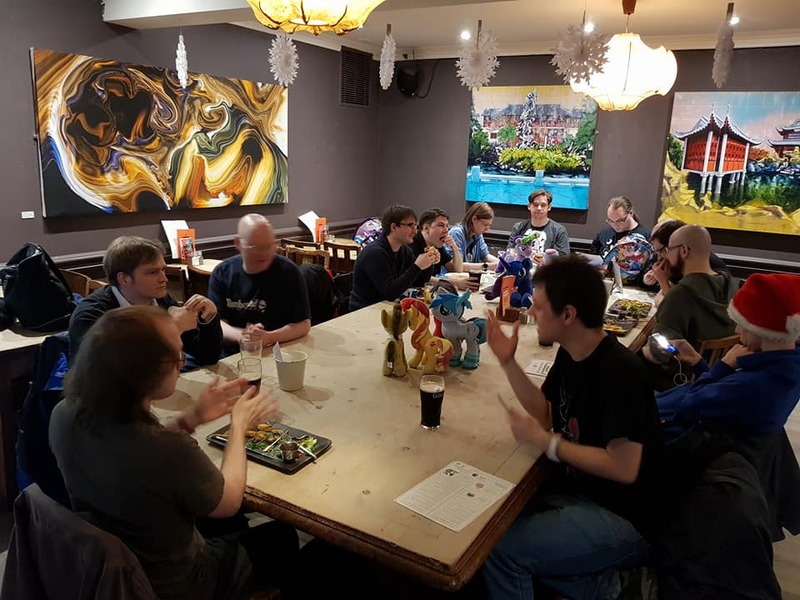 Overall, I think it is accurate to conclude that this meet-up was highly successful despite the comparably lower turnout compared to some of our previous meets. 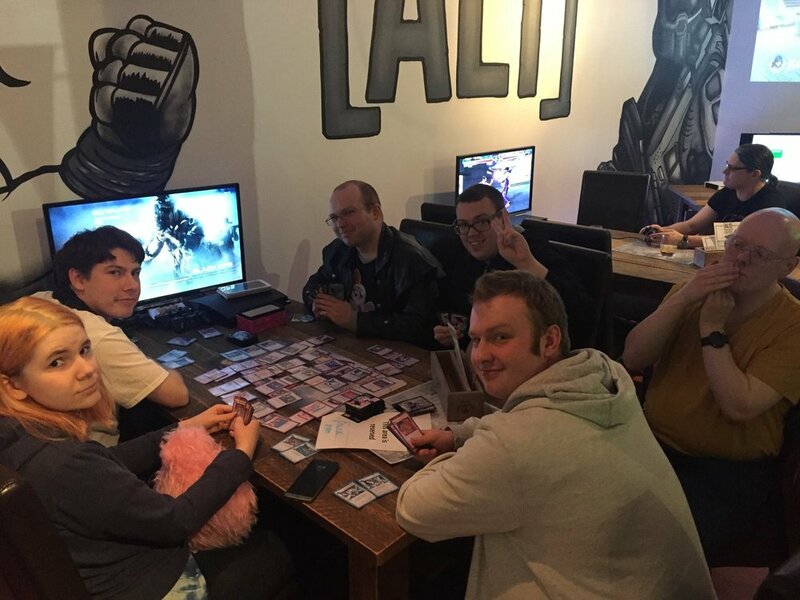 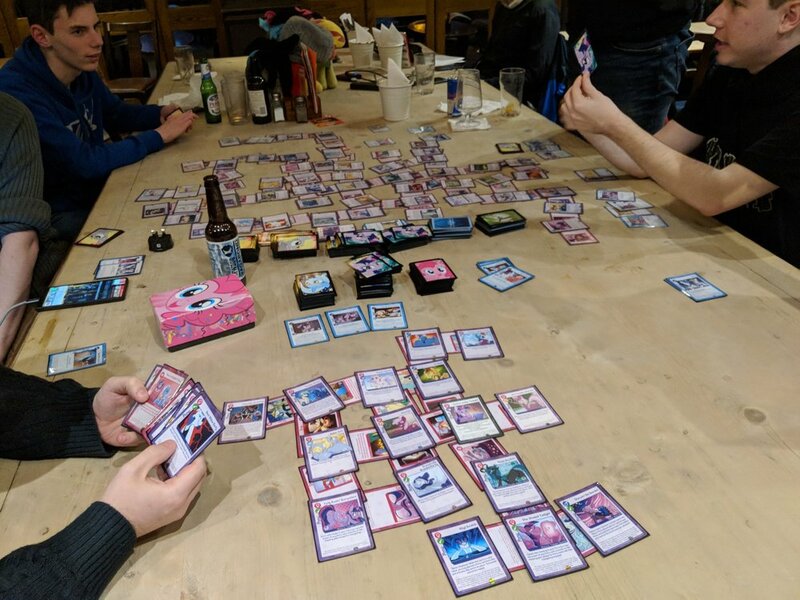 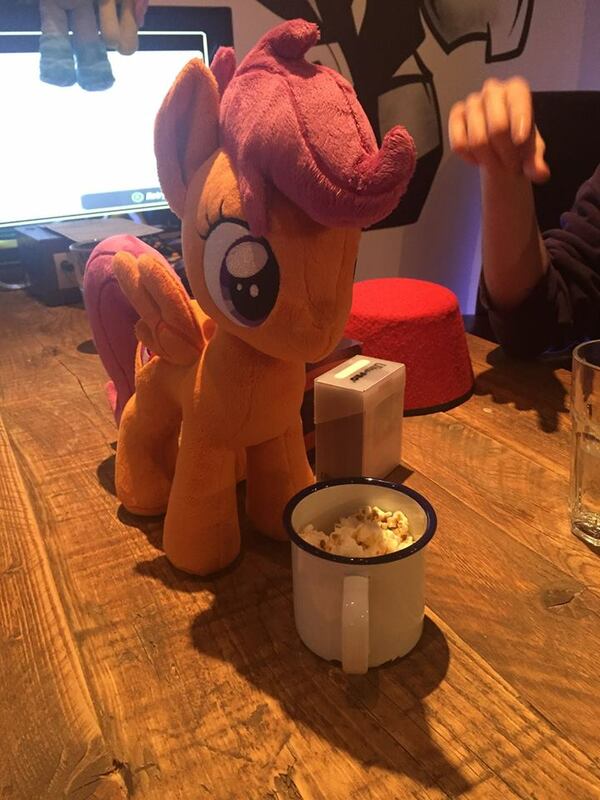 We're now looking forward to our next meet-up, where we plan to host a Fighting is Magic gaming tournament at ALT. 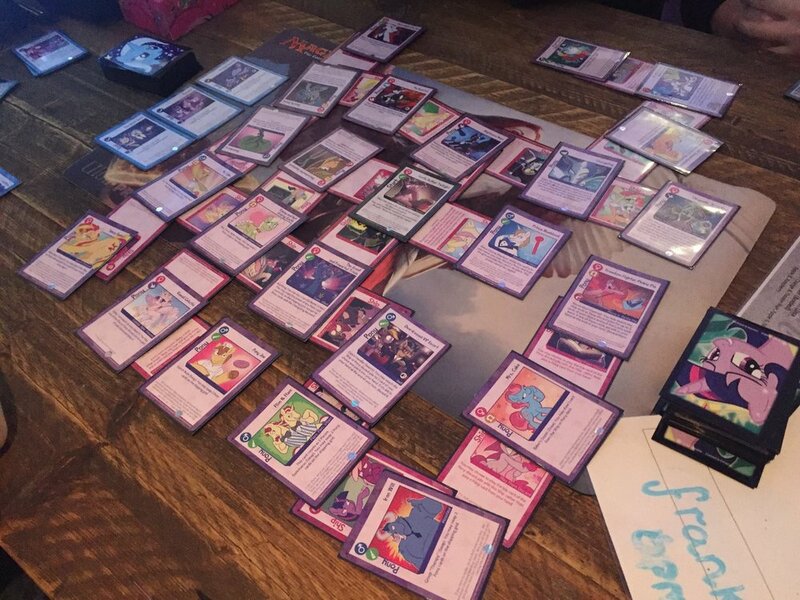 With any luck, this will be a lot of fun for all. 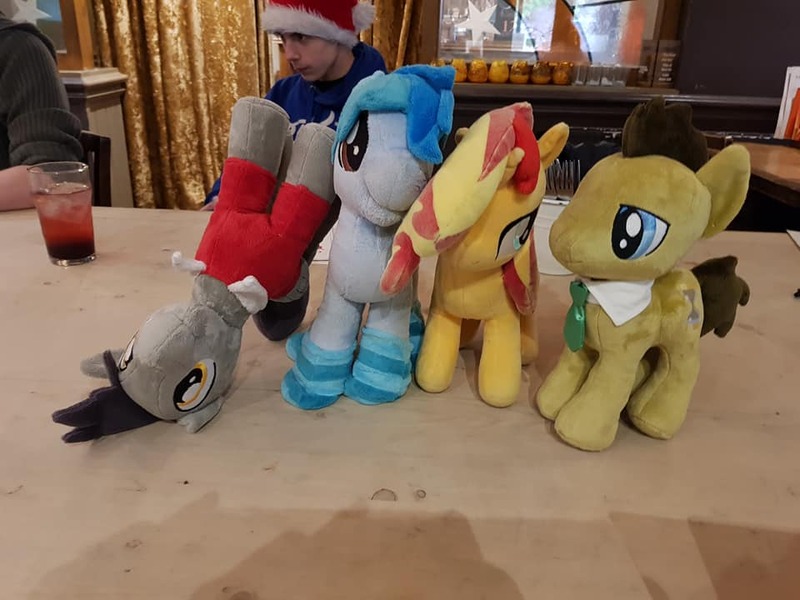 Trottingham Bronies - Signing off!